Dereli (102) defines leadership as a “process through which a person (leader) influences and directs people towards the accomplishment of a common goal.” Dereli (105) further asserts that the effectiveness of a leader is determined by the leadership style adopted by a leader, which is usually influenced by the context of leadership and the nature of followers. As a result, effective leaders ought to have an understanding of the context through which a given leadership approach will yield favorable results. In addition, the personal traits also play a vital role in influencing the leadership style that a leader is likely to use (Donaldson and Ko 155). The Transformational-transactional leadership theory provides a framework through which leaders’ behaviors can be evaluated and described, including their leadership styles (Northouse 104). Transformational leaders are characterized by shared vision and charisma with their respective followers, whereas transactional leadership is analogous to a “give and take” working relationship characterized by a rapport between the follower and the leader, which is developed using the exchange of rewards and punishments (Phillips and Gully 88). The leadership styles of Beverly Sadowsky, George Fishman, and Bob Scanlan are analyzed using the transformational-transactional leadership theory, which is a behavioral theory that places emphasis on the behavior of leaders (Swanson 102). Beverly Sadowsky used the transformational leadership style. 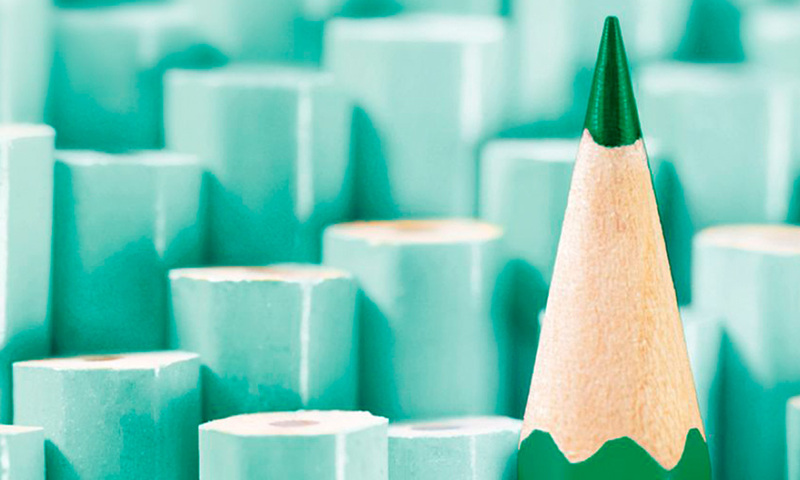 According to the transformational leadership theory, the leader is not restricted by his/ her followers’ perceptions. The goals of a transformational leader are to transform or change the needs of his/ her followers and redirect their followers’ thinking. In this regard, transformational leaders tend to inspire and challenge their followers through a sense of excitement and purpose (Tittemore 100). Sadowsky demonstrated this aspect of transformational leadership in a number of ways/ First, Sadowsky realized that Bob had far more potential than was being tapped and that Bob was looking for responsibility and challenge; as a result, Sadowsky placed Bob in a position that would challenge and inspire him. Transformational leadership style also entails the use of a participative approach to leadership whereby leaders provide their followers with a change to develop their own leadership skills using shared leadership and participative decision making (Dereli 145). The followers also take part in the decision-making and problem-solving process; as a result, followers tend to become effective leaders afterwards. This is apparent in Sadowsky’s actions by using a hands-off approach and the delegation of many responsibilities of her job. Through this, Bob (the follower), was able to develop his leadership skills. Sadowsky usually worked with Bob to an extent which she felt that Bob was capable of completing the task and left Bob to complete the task; that is a transformational style of leadership. In addition, Sadowsky allowed Bob to make his own decisions regarding the day-to-day administration. George Fishman used the transactional leadership style, which draws upon the transactional leadership theory. According to the transactional leadership theory, the emphasis is placed on the relationship existing between the leader and his/ her followers, which is characterized by the leader keeping a close and strict control over his/ her followers (Donaldson and Ko 89). In order to establish the distinction between the followers and their leader, a transactional leader makes use of a unique professional leadership. It is characterized by direct supervision. Followers are obliged to obey the directives issued by the leader; this style of leadership lacks a participative approach since it is devoid of follower consultation (Phillips and Gully 147). This is achieved using a structured system of punishments and rewards to ensure productivity. George Fishman demonstrated transactional leadership in numerous ways. First, Fishman used direct supervision on Bob in order to regularly monitor the progress of tasks; this is evident through the use of regular reminders and notes. In addition, Fishman was strict on rules; for instance, he demanded the office to be covered from nine to five daily; this is a typical transactional leader. In order to distinguish the relationship between the leader and his followers, Fishman told Bob that he is the boss and Bob is not. Contrary to Sadowsky’s leadership style, Fishman did not give Bob a chance to make his own judgments regarding the daily administration and insisted that he has to be informed about and be involved in even the most routine decisions. Bob’s leadership style can be best described as Laissez-faire leadership style, which is characterized by the followers being given all the power and rights to make decisions on their own. The Laissez-faire leadership style is characterized by the leader adopting a hands-off approach and delegating the tasks to his/ her followers with little or no direction. As a result, followers are fully free to make decisions regarding the completion of their tasks and exercise self-rule and autonomy, while simultaneously providing support and guidance when it is required (Phillips and Gully 105). In most cases, the Laissez-faire leaders give the followers all the materials required to achieve their goals; however, he/ she participates directly in the decision-making only upon the request of the follower. Bob demonstrated this leadership style in numerous ways. For instance, Bob supported and trained those working under him, and once they understood their tasks, Bob left them alone to complete their tasks, rarely supervising them except when sensed a potential problem. According to Donaldson and Ko (108), leader-follower relationships play a pivotal role in influencing the follower and leader performance. Specifically, Donaldson and Ko (102) point out, that compatible relationships between leaders and their followers result in individual peak performance as well as collective organizational performance, which leads to an organization functioning optimally in terms of organizational effectiveness. Organizational performance is determined by the compatible relationships between the followers; motivational needs and leadership style. As aforementioned, Beverly, George and Bob used different leadership styles, which result in different impacts on the needs of their followers. For the case of Beverly Sadowsky, there was a compatible leader-follower relationship between his leadership style and Bob’s motivational needs. According to Tittemore (55), transformational leadership style is effective in scenarios whereby follows demonstrate growth needs; therefore, the transformational leadership style that is connected to the growth needs of followers’ results in optimal individual performance. Sadowsky realized that Bob was after a challenging and inspiring work, and offered him a work position that inspired and challenged him and allowed him to develop his leadership skills. Therefore, it can be summed up that Sadowsky’s transformational leadership style was compatible with Bob’s motivational needs (challenge and inspiration) and had a positive impact on Bob’s motivational needs. For George Fishman’s case, there was an incompatible leader-follower relationship between his transactional leadership style and Bob’s motivational needs. According to Northouse (125), transactional leadership is effective in contexts whereby supervision is required to get tasks done and where followers cannot challenge the authority of the leader. As Northouse (126) elucidates, transactional leadership style connected to the physical needs of followers results in optimal performance; however, it has a negative impact in scenarios whereby transactional leadership is connected to growth needs of followers. In this regard, Fishman failed to recognize the growth needs of Bob and deploy the appropriate leadership styles that results in a fit between leadership style and follower’s motivational needs. Overall, it can be summed up that Fishman’s transactional leadership style was incompatible with Bob’s motivational needs (challenge and inspiration), and had a negative impact on Bob’s motivational need. In this case, Fishman could have changed his leadership style to match Bob’s motivational needs in order to result in optimal performance by Bob. Fishman should have realized that Bob’s motivational needs are not related to physical needs, but related to growth needs. For the case of Bob, there was a compatible leader-follower relationship between his Laissez-faire leadership style and his followers’ needs. As Dereli (125) explains, the Laissez-faire leadership style is effective in scenarios whereby followers are highly experienced and skilled; followers take pride in their respective work and have the drive to perform their tasks successfully without supervision; and when followers are experienced and trustworthy. All employees working under Bob’s supervision had the aforementioned qualities, and Bob realized that and adopted the Laissez-faire leadership style, resulting in positive outcomes on their motivational needs. Bob also made sure that his availability as a leader was guaranteed by checking up on those working under him. Overall, it can be summed that Bob’s Laissez-faire leadership style was compatible to the motivational needs of those working under his supervision, and had a positive impact on the motivational needs of those working under him. From the case analysis, it is apparent that the motivational needs of Bob and George Fishman’s transactional leadership style are incompatible. In order for optimal performance, Bob and George Fishman should focus on improving their leader-follower relationship. There are several ways of improving the leader-follower relationship. One of the approaches that can be used to reconcile the motivational needs of Bob and George Fishman’s leadership style is through the use of inclusive leadership, which places emphasis on the development of mutual relationships between the leader and the follower. Inclusive leadership emphasizes on “doing things with people, instead of doing things for people” (Swanson 147). In this regard, it is recommended for George Fishman to embrace the concept of inclusive relationship in order to improve the leader-follower relationship between him and Bob, as well as reconcile his leadership style with the motivational needs of Bob. George Fishman and Bob ought to perceive leadership as a two-way operation of followership and leadership, which draws upon mutual responsibility, responsiveness, recognition and respect, which have been dubbed as the 4 Rs of inclusive leadership by Phillips and Gully (100). Trust development between George Fishman and Bob should also be encouraged in order to harmonize the leader-follower relationship between the two. Essentially, both George Fishman and Bob should perceive themselves as being equal partners with regard to achieving the vision and mission of the organization. As Bob, I would embrace a powerful position as a follower (with respect to the leader-follower relationship with George Fishman), and embark on developing responsible and synergistic relationship with the organization. Essentially, I would embark on being the effective follower. As Phillips and Gully (147) state, effective followership is characterized by having an understanding of our power as well as how to utilize it; appreciating the value of our leader as well his/ her contribution towards the mission of the organization, and work towards lessening the drawbacks of power. With respect to understanding our power along with how to use it, I would strive to understand my sources of power, the entity being served and the tools at my disposal to accomplish the company’s mission. Bob has a vantage point, since he has a team working under him, and can use this team to accomplish the company’s mission. With respect to appreciating the value of my leader including his contributions to the organization, I would understand the pressures that George and come up with ways of minimizing these pressures and focus on his strengths for the betterment of the organization. Lessening the drawbacks of power would include helping George to stay on track for the purposes of long-term good. All these will be achieved by embracing a stand that is not the same as the leader’s one, and challenging the leader in instances where his behavior is in conflict with the sense of what is good for the company (Swanson 148). 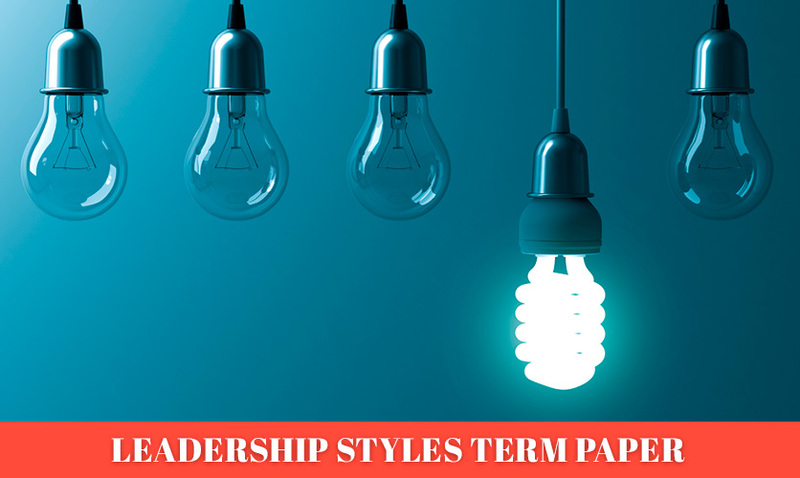 This paper has analyzed the “The Great Post-It Massacre” case with regard to the leadership styles used by the various individuals mentioned in the case including the link between their motivational needs and their respective leadership styles. The case analysis points out that Beverly Sadowsky used a transformational leadership style; George Fishman used the transactional leadership style, which draws upon the transactional leadership theory; and Bob’s leadership style can be best described as Laissez-faire leadership style, which is characterized by the followers being given all the power and rights to make decisions on their own. With respect to the connection between the leadership styles and motivational needs of their followers, the case analysis shows that Beverly Sadowsky’s transformational leadership style was compatible with Bob’s growth needs; George’s transactional leadership was incompatible with Bob’s growth needs; and that Bob’s laissez-faire leadership style was compatible with the motivational needs of his followers. Dereli, Mahçe. Leadership Styles. New York: VDM Verlag Dr. Mueller e.K., 2010. Donaldson, Stewart and La Ko. “Positive organizational psychology, behavior, and scholarship: A review of the emerging literature and evidence base.” Journal of positive psychology (2010): 177-191. Northouse, Peter. Leadership: Theory and Practice. New York: SAGE, 2009. Phillips, Jean and Stanley Gully. Organizational Behavior: Tools for Success. New York: Cengage Learning, , 2011. Swanson, Richard. Analysis for Improving Performance: Tools for Diagnosing Organizations and Documenting Workplace Expertise: Easyread Large Edition. New York: ReadHowYouWant.com, 2009. Tittemore, James. Leadership at all Levels. Ontario, Canada: Boskwa Publishing, 2003.